Be the first to share your favorite memory, photo or story of Sebastiana. This memorial page is dedicated for family, friends and future generations to celebrate the life of their loved one. 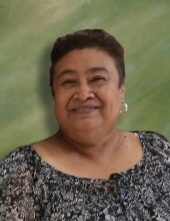 Beloved wife of (late) Otilio Rivera, loving mother of Martha O. Ramirez. She will be forever remembered by her grandchildren, Karina Mercado, Andres Morales and Luz Morales. She'll be extremely missed and loved by many family and dear friends. To send flowers or a remembrance gift to the family of Sebastiana Rivera, please visit our Tribute Store. Funeral Saturday 9:30 AM visitation at St Maurice Church and a 10 AM mass. "Email Address" would like to share the life celebration of Sebastiana Rivera. Click on the "link" to go to share a favorite memory or leave a condolence message for the family.